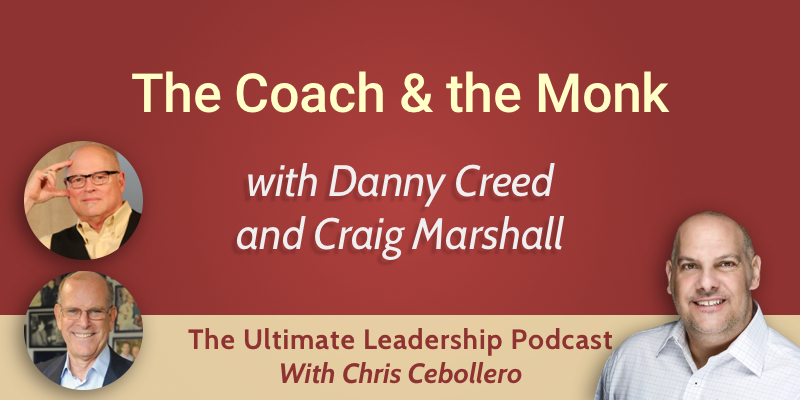 This week I have two amazing guests: Danny Creed and Craig Marshall. Together they are on a mission to help entrepreneurs make the most out of their ventures. Join us for a truly inspirational talk! Danny works with a lot of executives and entrepreneurs, and he realizes that now that we have access to technology 24/7, most of us think that we should do everything. One of the first steps in professional relief of stress is to organize your day. If anybody tries to sell you time management, run. You have to learn to prioritize the things you need to do and then manage your time accordingly. A German philosopher once said, “Never allow the most important things in life to be at the mercy of the least important things”. For thousands of years, yogis have known that most of us think, on average, about 1000 thoughts an hour. The goal of yoga is to slow things down so that we can go deeper and think more creative thoughts. Yogis developed very simple breathing techniques. When you meditate, your heartbeat slows down and your thoughts slow down as well. Danny’s philosophy on a mistake or a problem is that it’s a failure only if you don’t learn something from it. How will it never happen again? It’s not a big deal to reframe our challenges if we really understand the need to look at them from another level. We are all creating our own reality. Our thoughts are turning into things, so it’s really all about focus. If we frame something as a failure, we’re going to get more of it. It’s a spiral and there is no happy ending to an unhappy journey, as Craig likes to say. We all have inner self-talk. Through meditation and mindfulness practices, we can reframe who we think we are. Most people live a “circumstantial life”: they believe that once they get all their ducks lined up they will be happy. When we’re at peace, we draw all the circumstances we want. 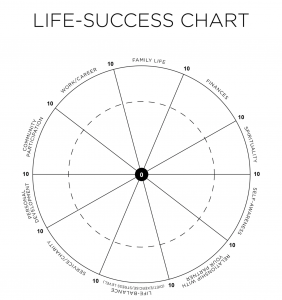 The Life Success Chart is a pie chart broken down into nine areas of life that Danny and Craig use. They ask people to put a dot in every one of these slices. If you put a dot in the middle of the pie, it means 0, if you put it on the outer side, it is a 10. So if you reply with a 5 at a specific slice, you would place your dot somewhere in the middle. You end up with 9 dots on the pie chart. If you connect all these dots, it’s an amazing graphic picture to look at. The word “yoga’ from Sanskrit literally means union. Yoga is a lifestyle, it doesn’t have to do just with the body. In order to get a hold of our minds, we have to first recognize that sometimes our minds cannot control our minds. 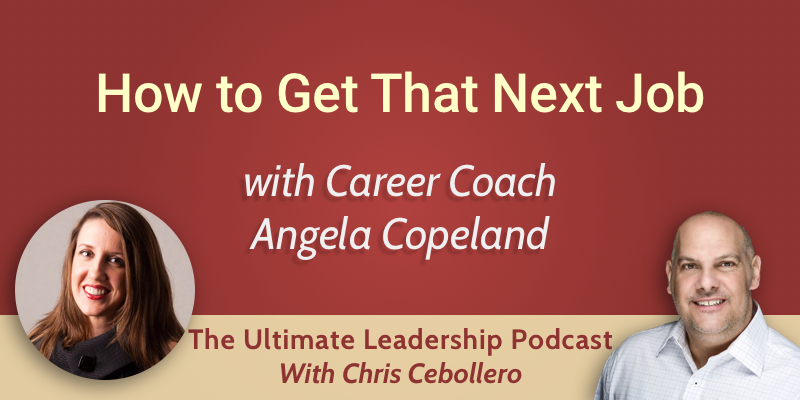 My guest this week is Career Coach Angela Copeland. Join us for an episode filled with useful information about how you can land your dream job and advance in your professional career. Should you follow up after the interview? What’s the biggest misconception about the job search process? We don’t usually spend so much time thinking about the next level of our career. Should we be doing this regularly instead? Yes, we shouldn’t wait to be in a painful situation and then desire change. Angela believes in “continuous interviewing” aka always networking, always keeping your eyes open, always thinking about the next step. We have to be our own CEOs and constantly be looking for new opportunities if we want to successfully advance in our career. What’s the first thing to do when you want to switch jobs? You should study what people in your industry whom you admire are doing. A common problem a lot of job seekers face is that companies normally say “Apply on our website, and if you are a good fit, we’ll call you.” It sounds so easy, and you just assume that someone will call you and it’s going to be great. Networking trumps everything. Knowing the right person will almost always get you further. Our resume is our snapshot of who we are as professionals. You should get someone to proofread it, but don’t hire a resume writer, because you need to work on it yourself. It helps you think of the message you are putting out there. You should carry copies of your resume, either on your phone as a PDF, or as a piece of paper. Your resume should be one or two pages long, ideally. Be careful to include things that reflect your real experience and your achievements. Interviewing is a little bit like going to a dinner party, and there are certain things you should leave out. For instance, things related to money, or your religious or political views. You can also leave out your references and your GPA. You shouldn’t dust off your resume when you need it, you should look at it on a regular basis because you never know when the opportunity could knock. You also have to do your homework in terms of researching the company. Yes. You should send a thank you email and a thank you card. Why do both? Because very often the company will decide that day or the next day who they want to give the job offer to. If you only send the handwritten card, they may have already made the decision, and you’re too late. You do want to send the card though because if you do you’ll probably be the only person who does it. And that really helps to make you stand out. You can throw in your business card along with your handwritten note. When you’re looking for a job, and you find a job description, very often that job description will have a “Requirements” part. So often the biggest reason people are not applying for jobs is because they assume that they are not qualified. Very often the companies are willing to talk to people who don’t meet all the requirements. Maybe they are actually having a tough time finding good candidates. If you think that you can do a job, apply and let the company decide. When we think about consensus, persuasion, and delivering the very best message, it all starts with communication. 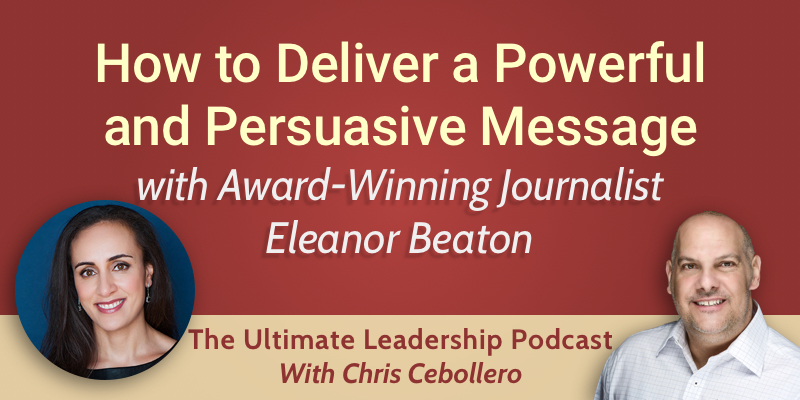 My guest this week, Keynote speaker and award-winning journalist Eleanor Beaton shares a wealth of practical knowledge and inspiration on how to be the best leader you can be. We know that communication is important. It should be at the foundation of our leadership toolbox. So how do we take the jump from being a good communicator to being a good persuader? It all comes down to a critical skill that we will see again and again and again in the world’s most successful leaders. To Eleanor, a successful leader is someone who can drive the business outcomes in a way that is also driving happiness, performance, fulfillment both for themselves and for their team. Stop explaining your ideas, and rather position them. Don’t talk vaguely about your ideas. You want your communication to be incisive and on point. Really dial up how you perform in meetings. Meetings are the critical unit of performance inside any organization. Every important thing gets decided or undone in a meeting. A controlling idea. Rather than just talking generally, take a position and share a controlling idea: your opinion on where things need to be. Give people the details: the who, what, where, when. Offer them some stories or some examples that drive the controlling idea home. Own the promise. When this group of people follows you, what will be possible? Where does the confidence come from? Practice, practice, practice. As a leader, it’s important to be humble, authentic and transparent, but it is also important to have excitement. If you can’t get excited enough to say “This is where we’re going, this is what’s possible for us.”, if you can’t courageously own that, who can? That is the challenge of leadership. The reality is that the majority of our waking hours are spent at work. We give so much of our time, energy, attention, blood, sweat and tears to our organizations. As leaders, let’s make that count for something. You have to have the courage to move from being a student to being a teacher. You have to recognize that your insight and your experience have value. The leaders who always seem to get the most traction, the ones who are able to tap into the most endless stream of opportunities are those who have taken control of their personal brand, who are contributing their thoughts and ideas in journals, conferences, on podcasts, who are really speaking their truth. You develop the courage to do it through the commitment to take action and to share what you know. By making sure that you continue to build your network. By making sure that you are continuously taking on stretch assignments. Find new ways to cultivate your creativity. Check out her show, called “Fierce Feminine Leadership: the Success Podcast for Ambitious Women”. 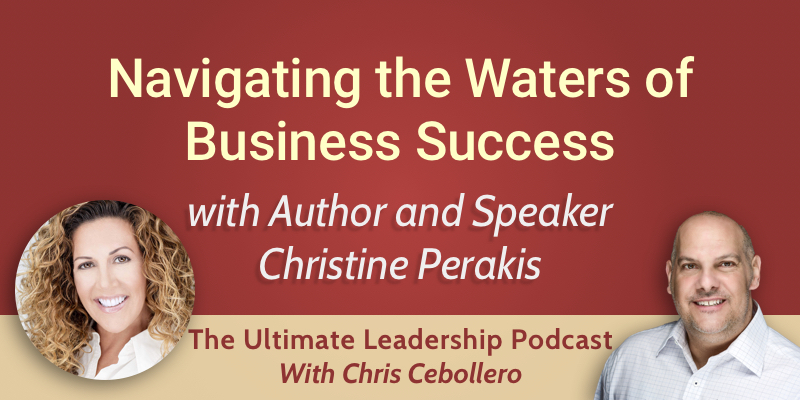 She is on a mission to help her listeners cultivate the courage, the skillset and the inspiration they need to bring the fullness of who they are to their professional world. What can you expect from her show? Fierce, no holds barred, fun, direct content that gives you inspiration to absolutely be your best.